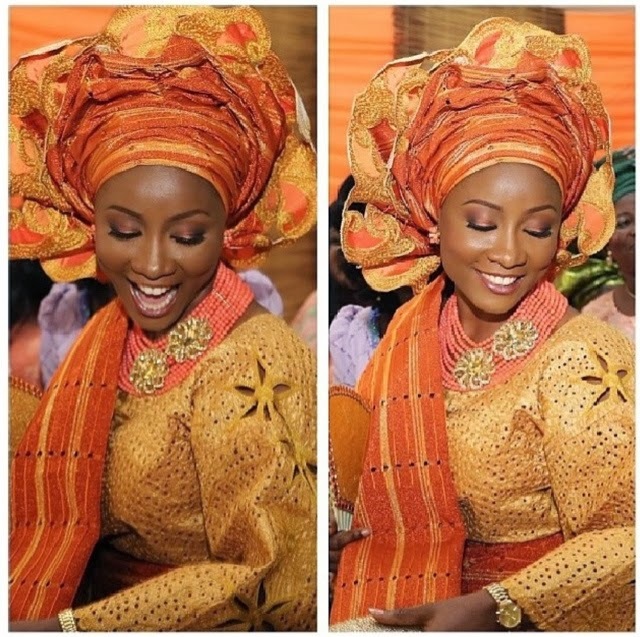 December is around the corner, which means wedding season in Nigeria is almost here. 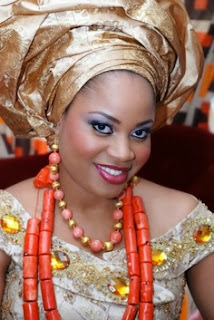 In this post I will be displaying different bridal looks from different Nigerian tribes. The 5 tribes that will be featured today are Yoruba, Hausa. 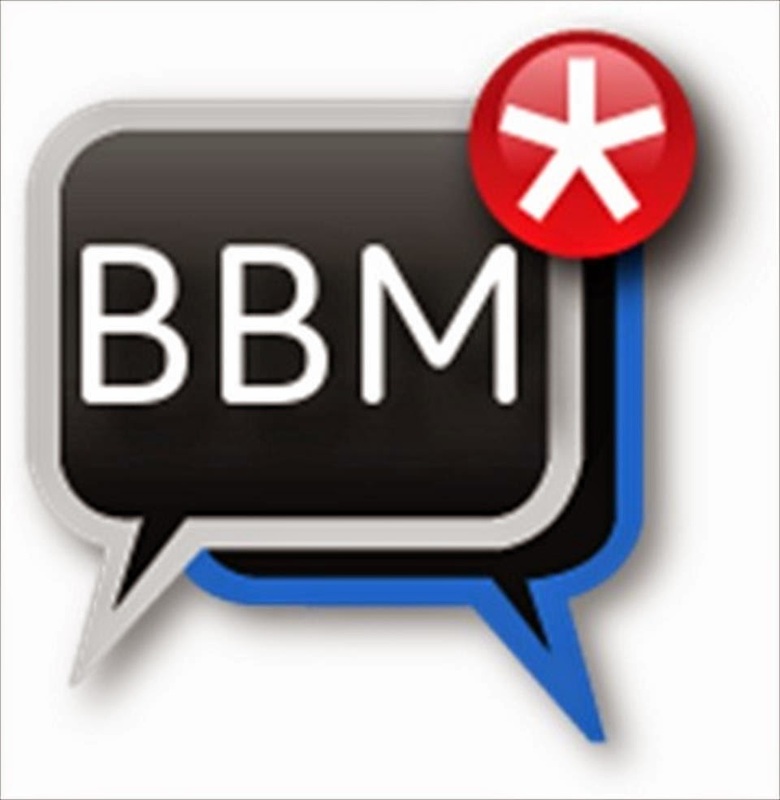 Igbo. Itsekiri (Niger- Delta) and Tiv. 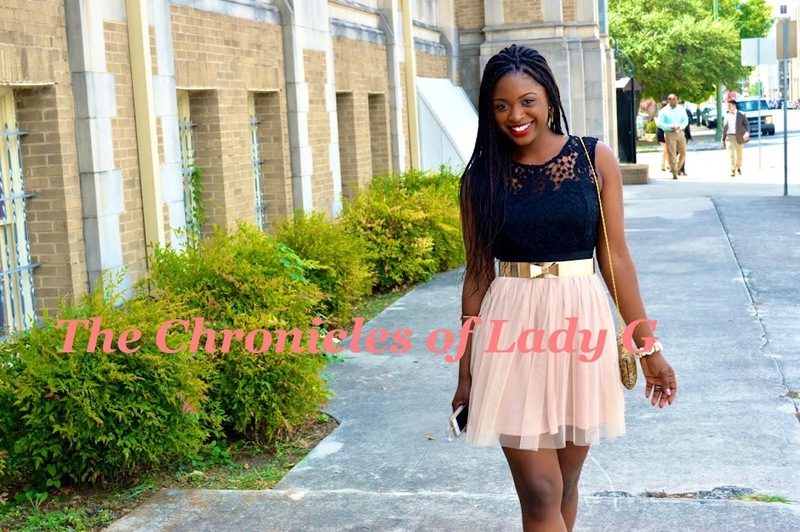 Brace yourself, because these ladies are gorgeous!! 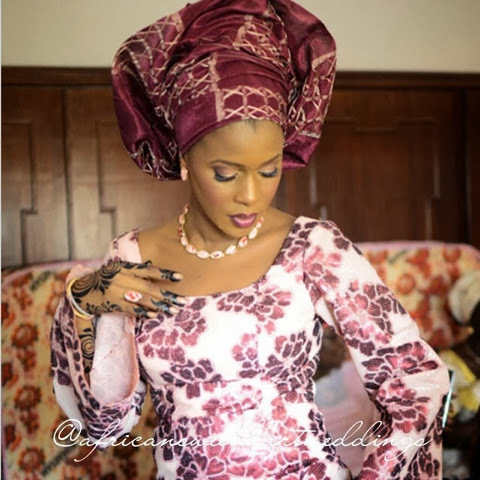 The Yoruba bride always makes a statement on her wedding day in her elaborate gele (head tie), which is the signature look for a Yoruba bride. 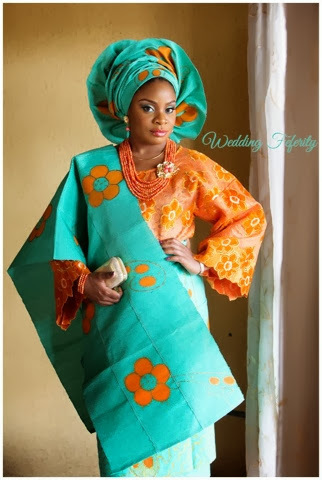 The traditional Yoruba bride wears a buba (shirt), aso-eke wrapper and a beautiful gele as the icing on the cake. 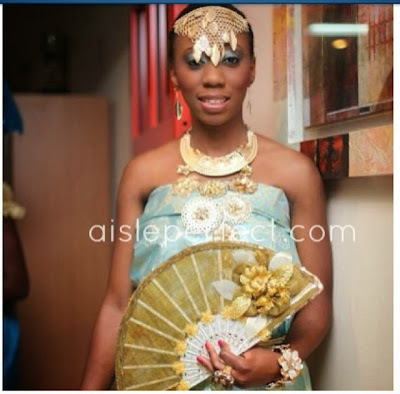 Also now days more and more Yoruba brides are spotted with hand fans as part of their attire. 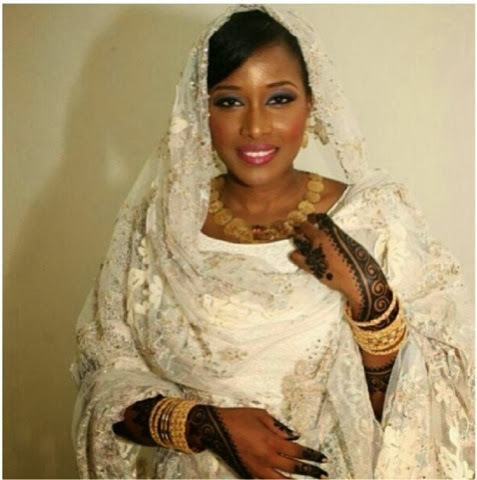 The Hausa tribe is located in the Northern part of Nigeria. 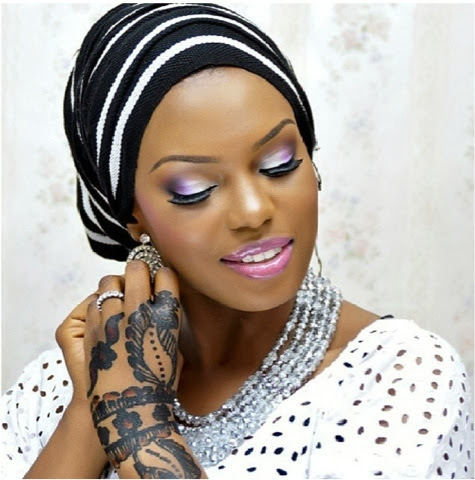 Hausa brides are known for the lovely designs on their hands called laali (henna) Traditionally it is used to cleanse the bride, but now days it is used a form of beautification. 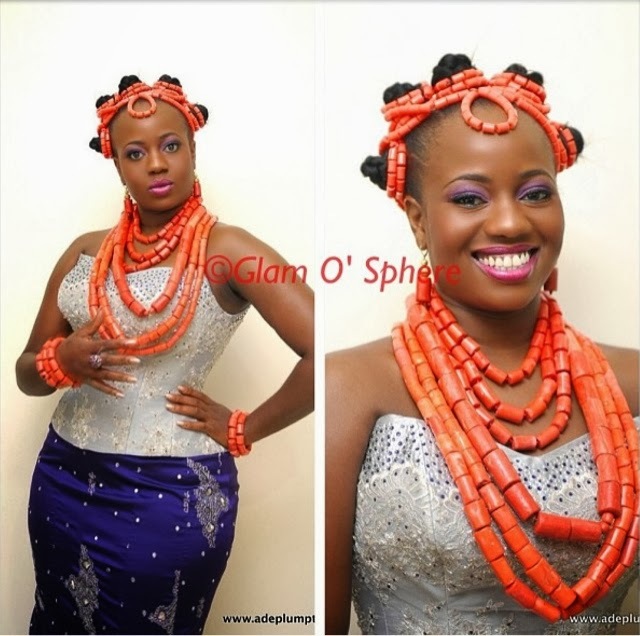 The igbo tribe is very particular about coral beads. 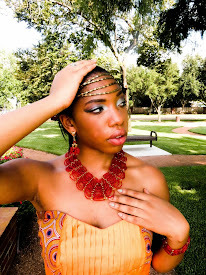 A traditional igbo maiden is drenched in red coral beads from head to toe, and carries a horse tail in her hand. 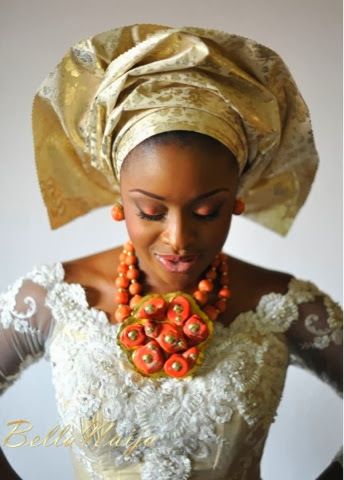 After they have been pronounced husband and wife, most brides change into the ichafu and lace as a sign of maturity. 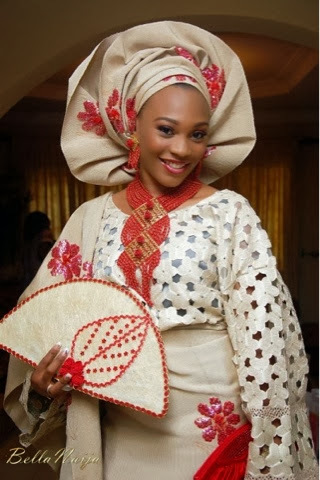 One of my all time favorite Nigerian bridal looks is from the Itsekiri tribe in Delta state. 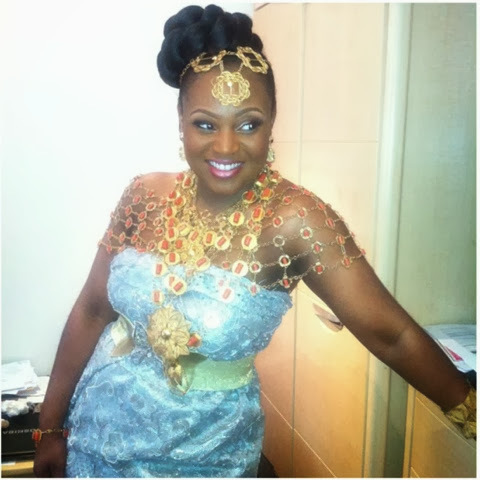 The Itsekiri bride sparkles in her gold accessories from head to toe. 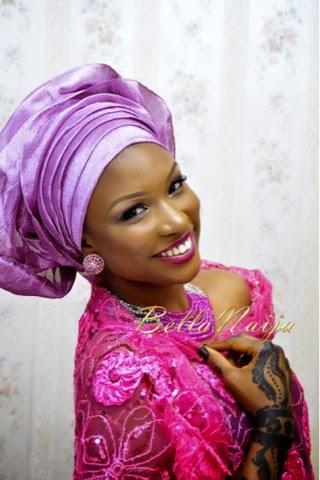 Itsekiri brides scream Royalty!! The Tiv people are located in the middle belt and some parts of the Northern region of Nigeria. The Tiv tribe is well known for their amazing skills in dancing. they are also known for their iconic black and white material. 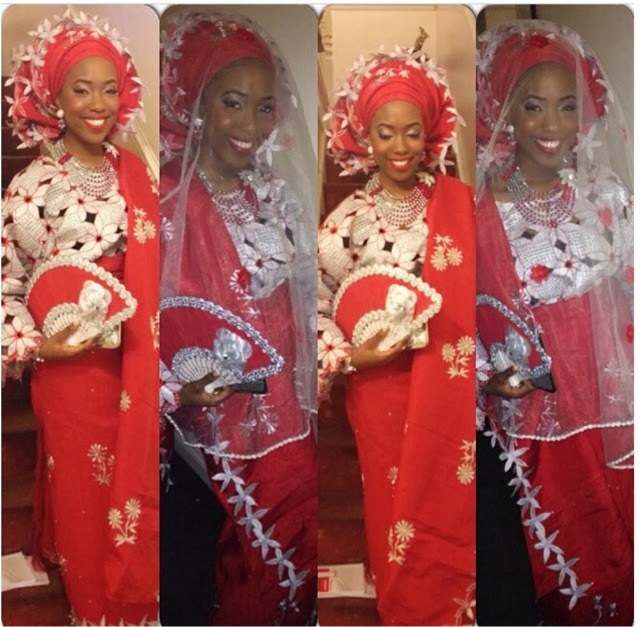 The Tiv bride is a prime example of how less is more. her look is very simple but beautiful. 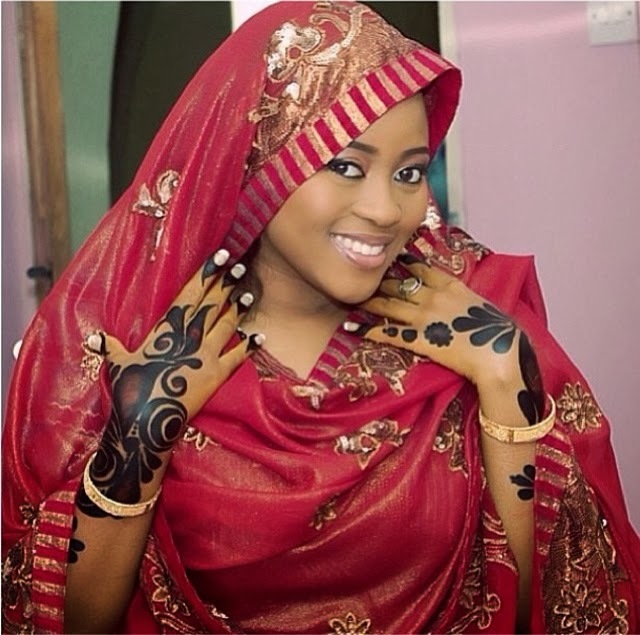 Also just like the Hausa tribe, the Tivs also make use of Henna for beautification. 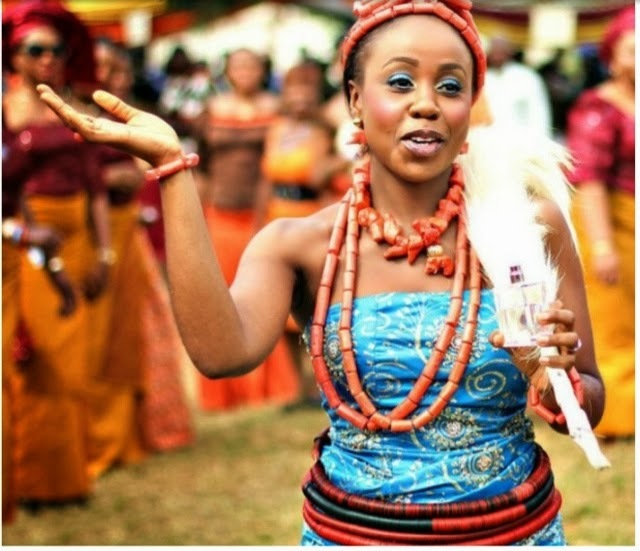 These are just a few of the various beautiful tribes in Nigeria. I hope I was able to inspire someone for their wedding!!! 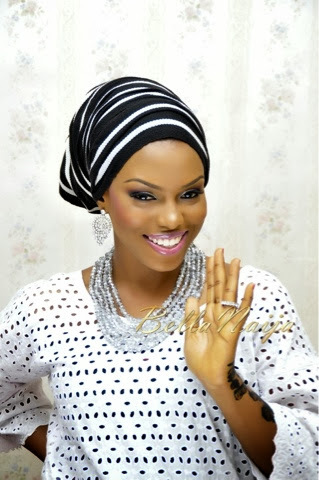 I agree, Nigerian women are stunning! Aww well thank you Uchenna. I'll go check it out! Beautiful!!!! Wow, they all look stunning. Pleased to know about this information. I am in search of an elegant venue Houston TX for arranging my cousin’s wedding. Searched online and found few beautiful venues. Planning to book a venue apt for the occasion.